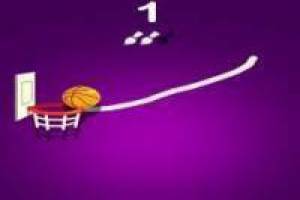 Dunk Brush is a fun game in which you will have to use your mouse to draw lines that make the balls finish inside the basket. At first it will be easy since the first levels are easy, but as you progress, the difficulty will increase. We will start with a ball and a basket, but then they can be more. Make sure you paint well the line with which the ball reaches the basket to score and move to the next level. You must bear in mind that you only have three strokes to paint in each level, if you use more you will lose the game and you will have to start from the beginning. 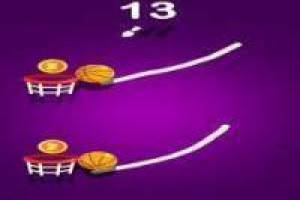 Reach your record and try to beat it in the following games, you can also challenge your friends to get better. 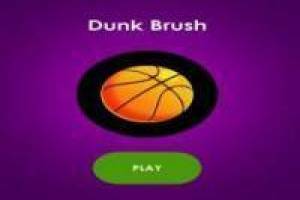 Enjoy the game Dunk Brush, it's free, it's one of our basketball games we've selected.